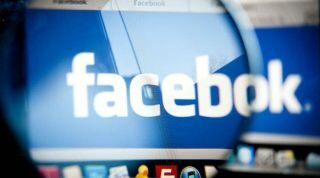 Facebook has revealed a turnaround on its policy to permit adverts for cryptocurrencies on its site. The social media giant has said it will now be "refining" its policy and allowing certain adverts related to promoting cryptocurrencies such as Bitcoin from pre-approved advertisers only. Any company looking to display such adverts will need to submit an application to Facebook, proving that they are trading on a public stock exchange and showing any licenses they have acquired. However the site will still ban companies looking to promote initial coin offerings (ICOs) and binary options. In a blog post announcing the news, Facebook product management director Rob Leathern said that the company would, "listen to feedback, look at how well this policy works and continue to study this technology so that, if necessary, we can revise it over time." However Leathern notes that the company said it would look to revisit the "intentionally broad" policy as time went on. The news comes weeks after Facebook announced it would be setting up a new team to investigate the use of blockchain technology on the site.